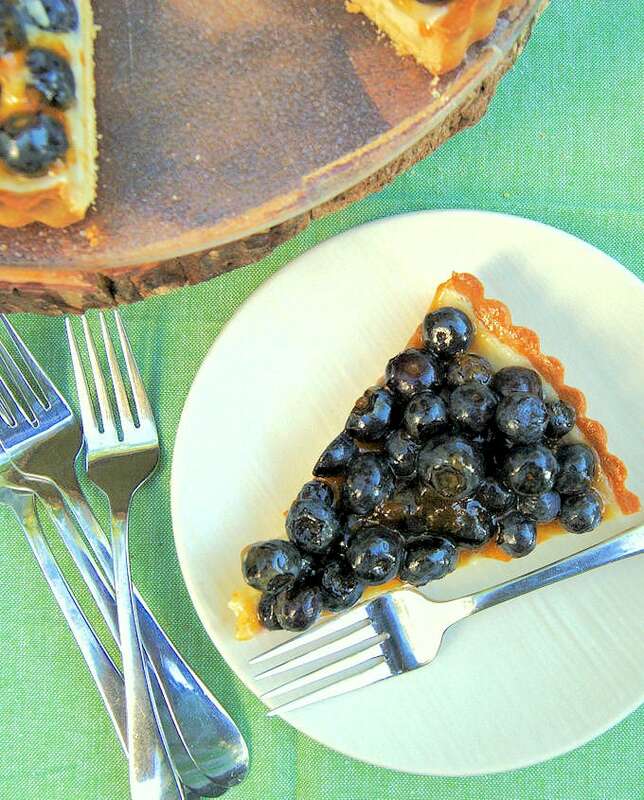 This Blueberry Cheesecake Tart gets an extra special flavor and crunch from the cornmeal crust and richness from the creamy cheesecake filling. The perfect summer dessert! 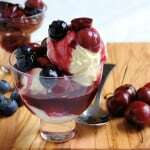 Here’s another blueberry recipe! Because we can never have too many blueberries recipes, can we? 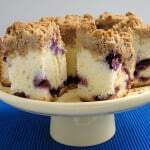 I love blueberries and cornmeal together and who doesn’t love blueberries and cheesecake together. 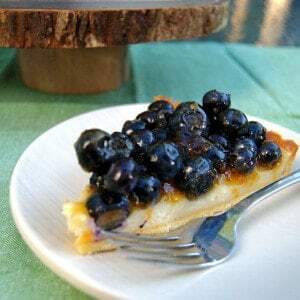 This Blueberry Cheesecake Tart has all three in one delicious slice. 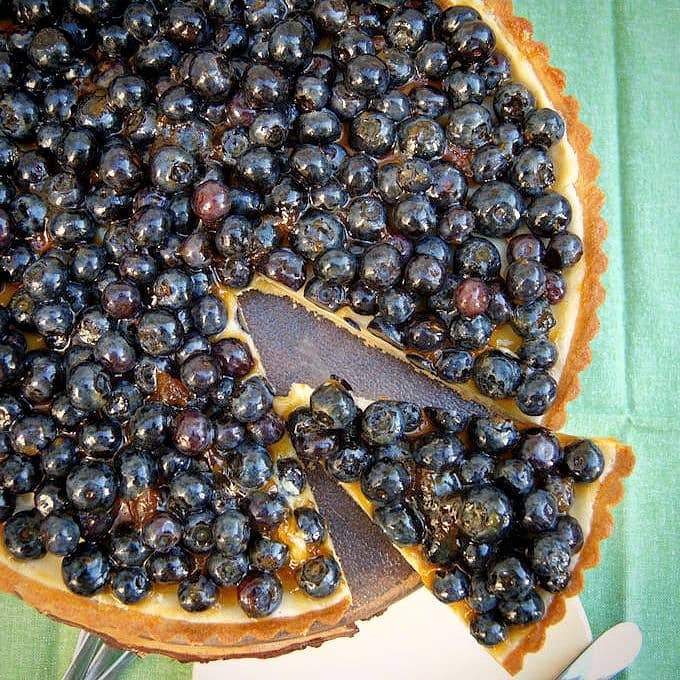 The cornmeal crust is filled with a luscious cheesecake filling and the whole tart is piled high with fresh berries. The cornmeal crust is a variation of my basic short dough recipe. 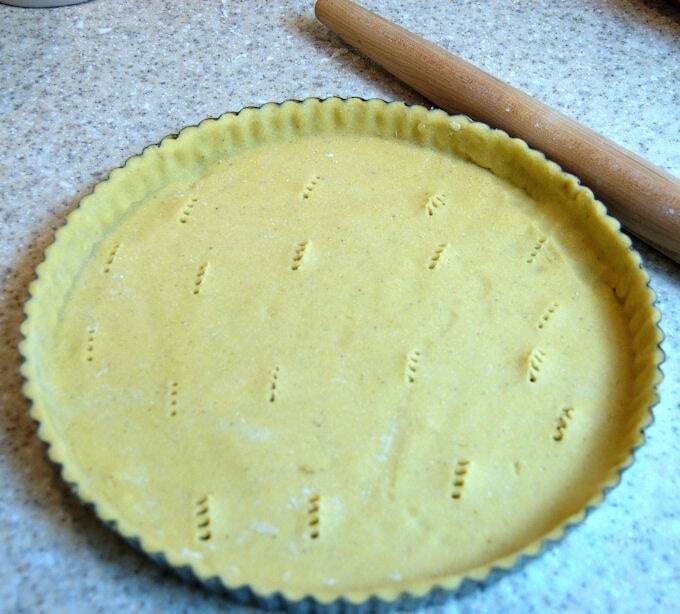 If you don’t have cornmeal available or don’t like cornmeal you can use the basic short dough in it’s place. But trust me, the cornmeal gives the crust a really nice crunch and the flavor works so beautifully with the cheesecake and blueberries. The dough is very tender with the cornmeal in it so it’s easiest to work with it while it’s cold. It might seem extravagant to have both butter and cream cheese in the filling, but the richness of the filling is balanced by the tart blueberries. The filling comes together very quickly. 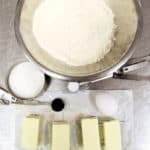 Just make sure the cream cheese and butter for the filling are both at room temperature before mixing so you don’t get lumps of cream cheese in the batter. The filling can be poured into the blind-baked crust while it’s still warm and then returned to the oven to bake. 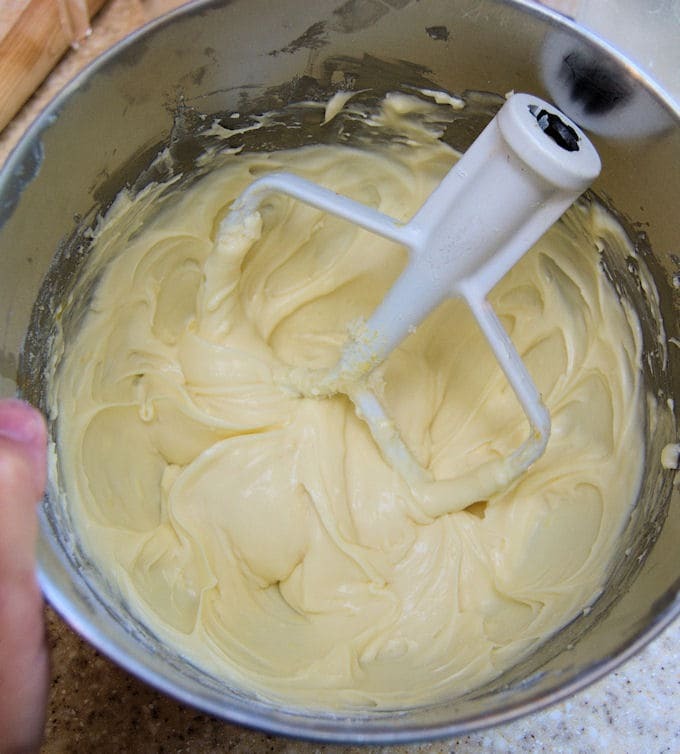 Both the dough and the batter for the filling can be made ahead. For the topping I just piled on the blueberries. You can arrange them in pretty circles if you want to make it fancier. But I like the casual and abundant look of the piled-up berries. I use melted apricot preserves as a glaze for the fruit. 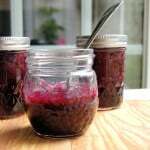 The jam tastes great and keeps the berries in place when you cut the tart. 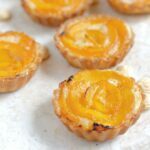 This cheesecake filling is great in any fruit tart. Use your imagination. The possibilities are endless. Special Equipment Used: Removable bottom tart pan. Cream butter and sugar just until combined and slightly aerated. Add egg and vanilla, mix to combine and scrape down the bowl and paddle. 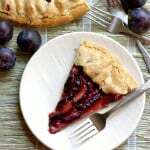 Remove the tart from the oven and reduce the temperature to 325°F convection or 350°F regular. 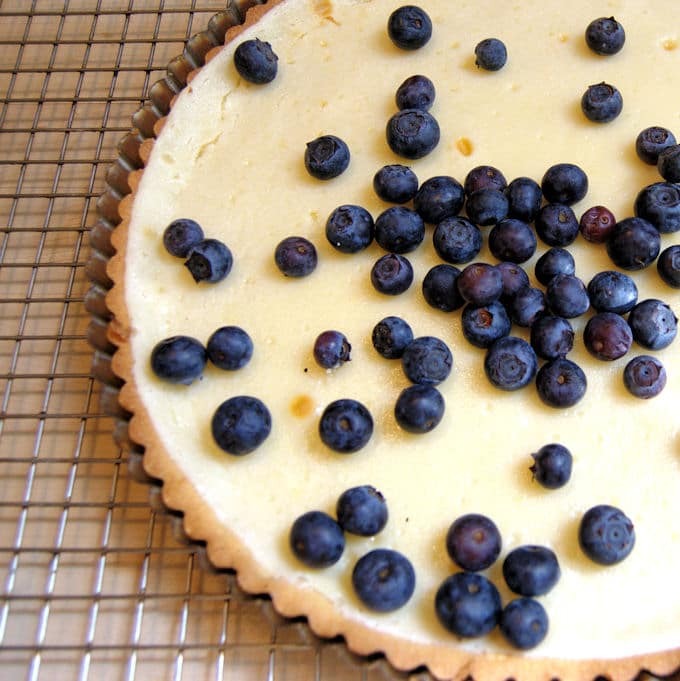 Pile the blueberries on top of the cheesecake filling, or arrange in circles for a more polished look. Warm the apricot preserves in the microwave and brush all over the blueberries. Allow the preserves to fill in the gaps between the berries to hold them in place. The cheesecake filling may puff up a bit while baking. That's ok. It will deflate when it comes out of the oven. Those blueberries look gorgeous! And thanks for the recipe for the cornmeal crust. I love that cornmeal crust. It has a nice little crunch to it.